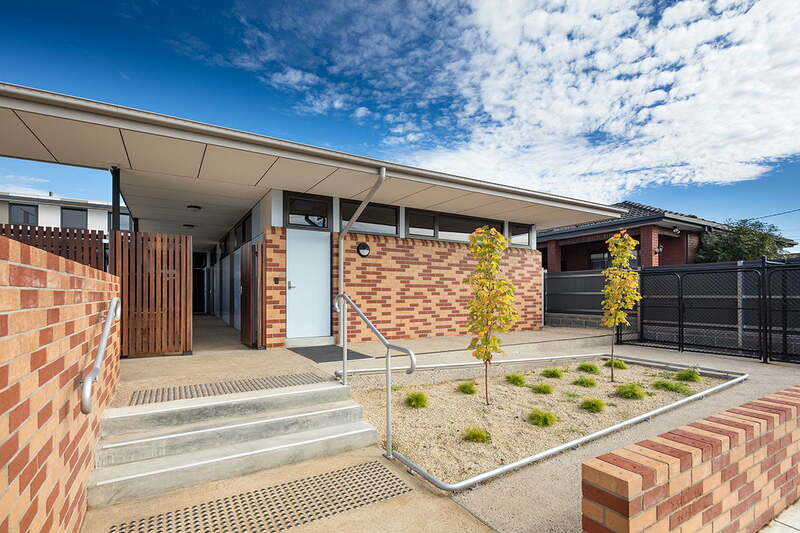 This project is a residential care facility for a range of disenfranchised and vulnerable people. 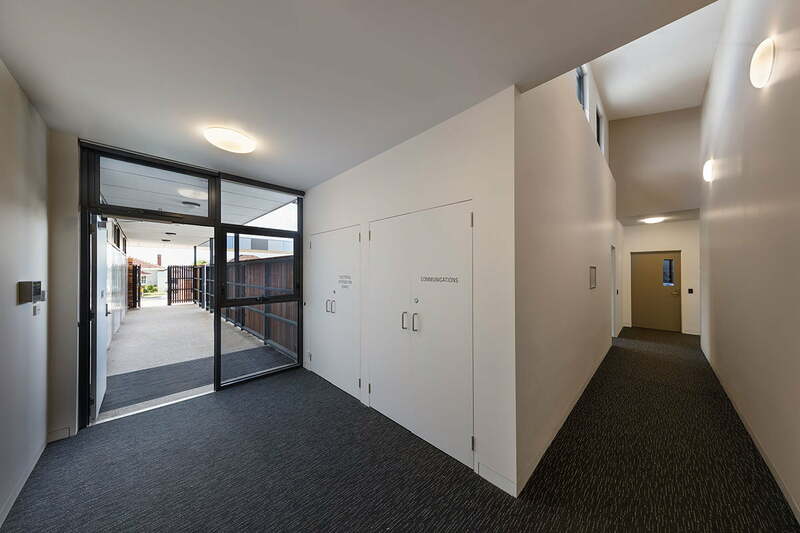 In addition to accommodation for eight residents in two groups of four with communal kitchen, dining and living areas for each group, the facility has a shared ‘social enterprise’ area. 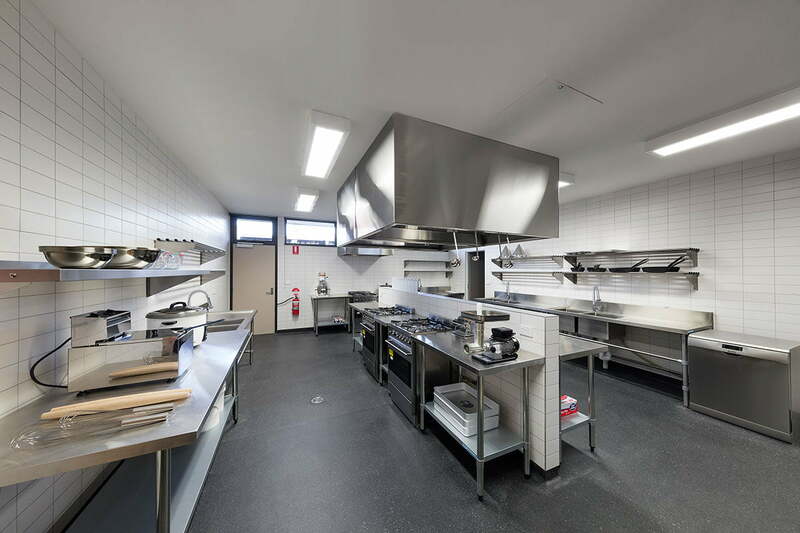 This comprises a multi-purpose room and commercial kitchen for upskilling residents so they can re-enter the community when ready as independent, useful and productive members. These training facilities are an innovation in residential care of this type. The facility is owned by a not-for-profit organization devoted to housing the homeless. It is leased and operated by a not-for-profit community service organization. 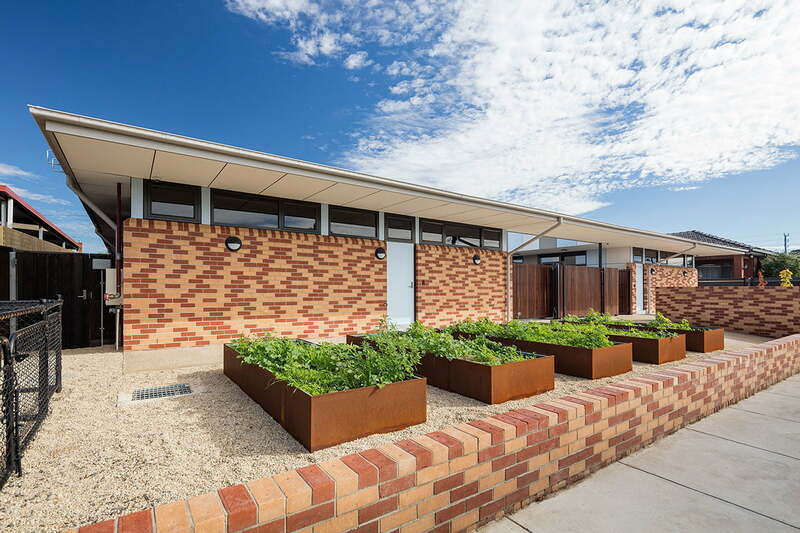 The building is single storey on a typical suburban street in Melbourne’s north. 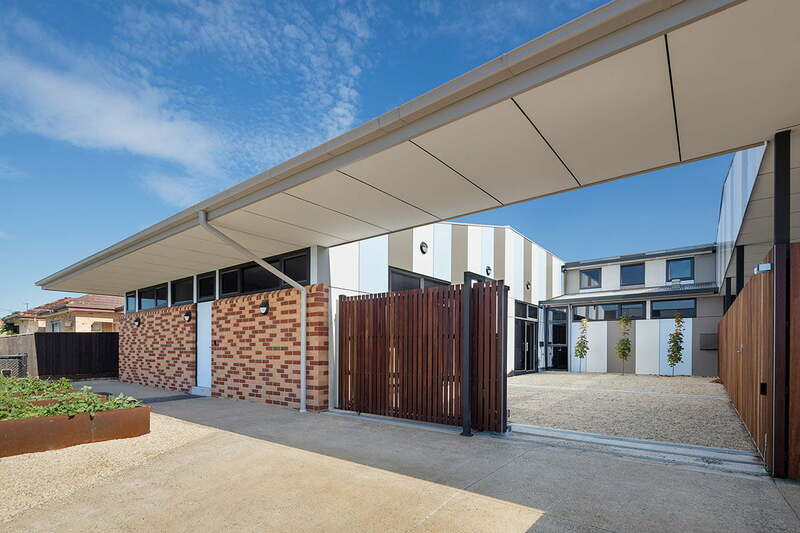 It is deliberately designed to be unobtrusive and to fit seamlessly into the surrounding suburban fabric. 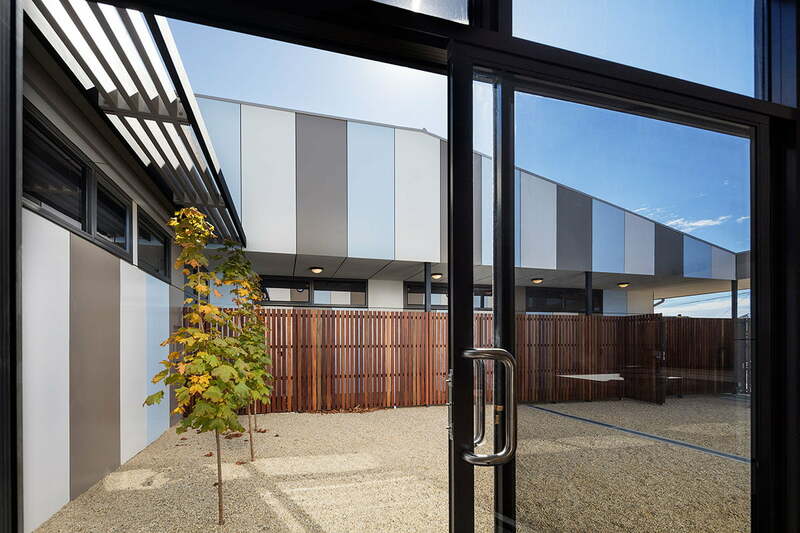 Organized around a communal courtyard facing the street, the building is U-shaped with two wings (one for each residential group) and a central section which houses the social enterprise and management functions. The massing of the two wings is roughly equivalent to that of the typical modest houses on the street, embedding it visually into its context. 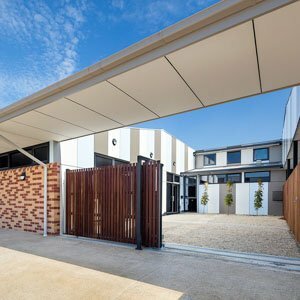 This strategy is reinforced by the choice of typically suburban external materials – brick veneer and fibre cement walls, aluminium windows, corrugated Colorbond steel roof and simple paling and picket fences and screens.